Sure, Netflix is currently the place to go to binge watch your favorite old television shows, original comedies, dramas, and motion pictures. Using your smartphone or tablet means that you are never without something great to watch, no matter where you are. And while Netflix has always had competition from Hulu and others, Amazon is planning a stand-alone streaming service that will use the online retailer's experience with Prime to stream video to subscribers. Amazon is also planning on competing with Netflix on price. At $8.99 a month, Amazon will be a dollar cheaper than what Netflix charges for its most popular plan. Amazon also announced on Sunday that its $99 a year Prime service, which offers free two-day delivery on Amazon purchases along with unlimited streaming of movies and television shows, will also be offered on a monthly basis to all U.S. consumers. The price will be $10.99 a month, and consumers will be allowed to turn on or off the service for specific months. This means that shoppers could elect to enable the service during the holiday shopping season, and disable it afterwards. Netflix has done very well with its original programs, well enough so that shows like Orange Is the New Black, Unbreakable Kimmy Schmidt and House of Cards are strong enough to drive subscriber growth. Amazon has exclusive rights to some older shows from HBO and has signed director Woody Allen for an exclusive television series. Netflix still has the advantage here, even with that $1 higher price each month. That is, until Amazon comes through with its first breakout show. 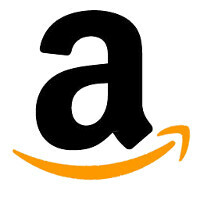 There is no word yet on when Amazon will officially launch its streaming video service. Sure, competition will be welcome. I wonder if this is in addition to Prime or offered for those who are not Prime subscribers. As a Prime member, I would hate to have to fork over another $10 a month for the video service unless it offered a lot more than it does now. If the streaming service is different from prime it would be nice if they had some sort of discounted bundle that included both services in 1 yearly payment, it would have to be $120 because that's how much a year it cost for netflix. Too bad Amazon doesn't support Chromecast. Agreed. They're trying to compete with everything alienating their customers by restricting their services to their own devices. I've loved Amazon up until about two years ago where they've just made really poor decisions. I've got a Roku so I can stream all of the major services. It works very well. I have a PS3 and PS4, so being able to stream Amazon isn't the issue. It's the lack of support for just Chromecast only that I find the most annoying. The beauty thing is these services are relatively cheap. We subscribe to this, Netflix, and Hulu. They each offer something different enough to justify the cost to us. In the case of Amazon, we split the cost of Prime with my parents, so its dirt cheap. They gota help pay for TopGear , or I guess they'll be calling it by some other name . They will have to get the viewership up to help pay for it, and get the service out to as many people as possible..... Go team Clarkson , May and Hammond.... Can't wait for it to start. I mainly use it for the cheap 2 day shipping and occasionally movies and music. If this is included as part of Prime I am in. If it is extra I will have to see what they add to the video collection.